If it’s been more than three months it’s time to change your toothbrush! However, walking through the toothbrush aisle at your local drugstore you will find enough options to make your head spin! 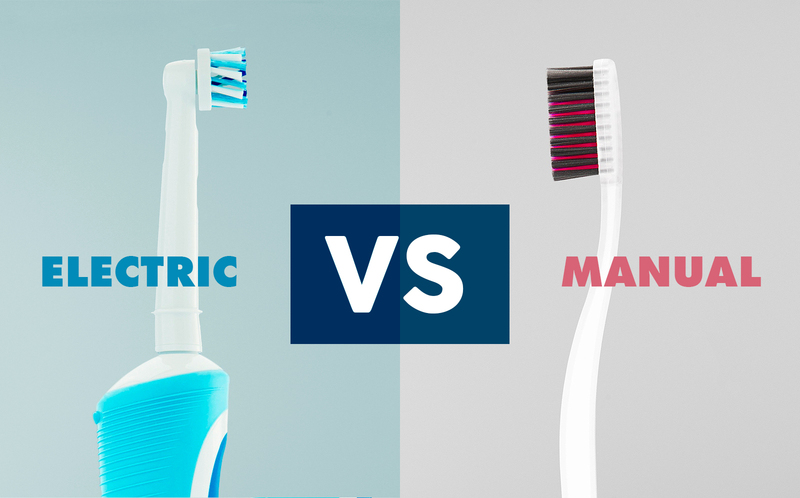 It’s no wonder why our patients are always asking us which toothbrush is best for them. However, this can be a difficult question to answer because there is no right answer. Everyone has different needs and understanding the difference between toothbrushes will better help your decision. For the purpose of this article, we will discuss the two main categories of toothbrushes, and their various handle, bristle, and head design. Each one has its pros and cons and better understanding them will help you maintain peek oral health. The first category is the manual toothbrushes. These are your classic toothbrushes everyone has used and may be the only brush you have ever used. These are typically the least expensive and come in a variety of head and bristle design. The biggest difference between these and their electric counterparts is the handle. There are generally four different options of handles you can choose from. Classic: This is the design we are all most familiar with, it features a rectangular shaped and straight handle. Flexible: This typically looks identical to the classic toothbrush but its handle is made out of a flexible composite allowing for a greater mobility while brushing. Angled: This design works well to reach the difficult areas in the back of the mouth. Griped: Generally, this style is more ergonomically friendly and is typically designed for better comfort while brushing; which in turn allows for more accurate and consistent brushing. The biggest setback manual toothbrushes have is that it requires a good brushing technique. You should brush in small circular motions across all parts of your teeth for at least two minutes. Manual toothbrushes require the user to remember to brush well and for the appropriate length of time. Whereas, electric toothbrushes come with a timer and are moving in a motion to lift plaque off of your teeth. This allows the user to do less and achieve a better dental clean. The heads and bristles are another important part of a toothbrush. The heads will come in either rectangular or diamond shape. While these styles can be found on both manual and electric, they are more commonly found on manual toothbrushes. Electric toothbrushes generally have a smaller head for ease of reach to the back of the mouth, as the toothbrush is bulkier. Contrary to popular belief, the bristle design is a very important part of the toothbrush, as it will help break up the plaque easier than others. The bristle composition is normally either soft or hard. Hard bristles will dig up a greater amount of plaque and other residue found in the teeth. Also, because of the durability of the bristle itself, it can reach into tighter corners without completely collapsing. Soft bristles will be rounded at the tip, creating a softer, gentler toothbrush. This is great for those with more sensitive gums and teeth. The different styles of bristles can also be found on both manual and electric toothbrushes and generally have four styles. Block: This is the most standard of bristles and comes in a rectangular shape with no varying height to any of the bristles. Criss-cross: This pattern is designed in a way to help lift plaque off the tops of the teeth more easily. Wavy: This design will help reach the adjacent areas of the tooth while lifting the plaque away at the same time. Multilevel: These bristles are a mix of all of the other bristles combined. They offer superior teeth cleaning as they can reach all areas of the tooth at the same time. As mentioned earlier, electric toothbrushes have more options then manual toothbrushes and are more expensive and generally larger than manual toothbrushes. 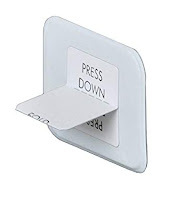 They also require the user to remember to charge the battery or have spare batteries to replace them with. While manual toothbrushes are commonly classified by their design, electric toothbrushes are classified by the way the head moves. Typically, an electric toothbrush will fall into one of these three categories; ultrasonic, rotational and unidirectional. Ultrasonic: These toothbrushes produce a series of acoustic pressure waves that help lift plaque from the teeth. These are the best electric toothbrushes and generally are the most expensive. Rotational: With this type, the head will move in a circular motion around the tooth. This is also commonly known as a spin brush. Unidirectional: With this style, the head will move up and down or side to side. Due in large part to their power, electric toothbrushes will give your teeth a better clean. They are able to lift the plaque off of teeth much more efficiently than manual toothbrushes. However, for those with sensitive teeth, it might be uncomfortable or painful to use an electric toothbrush. Also, the lesser expensive models are generally louder and could be an unpleasant noise for those with sensitive hearing. In conclusion, there are many different options to assist you with your oral health. At Jackson Family Dentistry we try to educate our patients about the importance of preventative care and brushing is the first step to preventative maintenance. Experiment with different designs or ask your dentist for toothbrush samples so you can try different options and find one that is right for you. Our office is also available for any questions you may have about this or any other dental concern.